Since the launch of the Token Summit we have received close to 50 speaker requests. It has been very hard to select the few remaining spots in an otherwise tight agenda. Today, Nick Tomaino and I are announcing the second set of stellar speakers, adding to the already strong line-up of speakers and panelists. Below are the new speakers that we have added to the roster of who’s who in the token/cryptocurrency space, from around the world. I’m very excited and pleased to have them at the Token Summit, to share their unique experiences and participate in the discussions. Thomas Linder, Partner at MME; go-to lawyer for several Swiss-based foundations and decentralized protocol-driven organizations. Joey Krug, co-founder Augur; building a decentralized prediction market, and completed one of the first Ethereum-based crowdsale. Juan Benet, founder of Protocol Labs and inventor of IPFS and Filecoin; expected to roll out a new token to power its file storage and distribution protocol. Julian Zawistowski, co-founder of Golem; one of the most successful recent ICOs building a next generation if computational resources. ; issued 1 million Numeraire crypto-tokens to incentivize the construction of their artificial intelligence hedge fund. Alex Sunnarborg, research analyst at CoinDesk; founder of Lawnmower and creator of the Lawnmower Index. ; working on tokenizing risk insurance. Chris Padovano, Decentralized Legal; involved on the legal side of token sales. Aleksandr Bulkin, co-founder of CoinFund; active analyst in the token space. For venue location, I am also very pleased to announce that the event will be held at the prestigious NYU Paulson Auditorim, 40 W. 4th Street, New York. 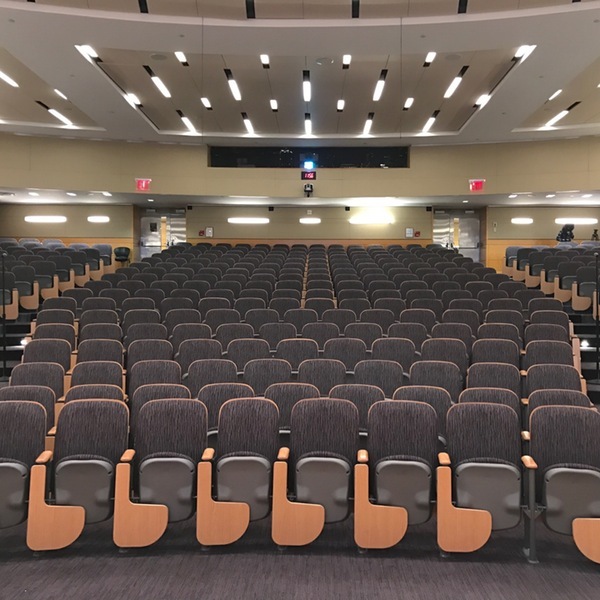 The Paulson Auditorium is a beautiful theatre-style venue that can accommodate up to 470 seated participants (just in case we reach that level). It is part of the NYU School of Business. We have more speaker announcements coming up, in addition to key sponsorships that will be revealed soon. Also, we are adding Saul Hudson to the organizing team to help with pre-event media relationships. Saul is a 20-year Reuters veteran, most recently as their General Manager for the Americas. I’m super excited about how this event is shaping up. Given the interest received, speaker faculty assembled, and support given, we are gearing up to deliver a unique experience that will dive into this important subject like never before. The only aspect that I’m not satisfied with is the number of women speakers. We only have two confirmed, but are working hard to increase that number. Here is the link to register and read about the Token Summit conference.